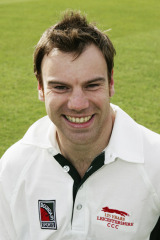 After some years of trials, tribulations and disciplinary issues with some of the overseas professionals in the 1990’s, the club took a decision to sign a local professional for the 1998 season and Charlie was engaged on recommendations from knowledgeable people within the Bolton Association. Fiercely determined to become a professional cricketer he tried out with a number of counties including Leicestershire and Nottinghamshire before being given a contract by Warwickshire. This determination was evident in his performances on the field and his commitment off it, and whilst his batting had limitations, his bowling was hostile and he finished the season with 77 wickets and a growing reputation. In 2000 he moved back to Leicestershire. 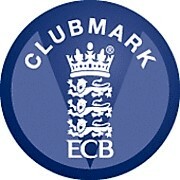 Charlie, represented Cumberland, the Minor Counties and the ECB England XI whilst also fronts a rock band! After retiring from playing professionally, Charlie turned his hand to commentary, regularly appearing on the BBC’s Test Match Special. His professional career stats can be found via cricinfo.